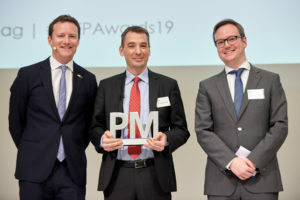 There were many deserving winners at the Parliament Magazine’s MEP Awards 2019 ceremony last week in Brussels. Indeed, APEAL was delighted to present the award for Environment to Javor Benedek, MEP, for his work in that important policy area. 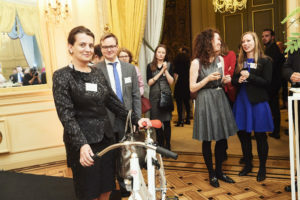 But there were no winners more surprised as the two members of the Permanent Representation of Romania to the EU who were able to catch their ride home on the bikes won in the APEAL prize draw. 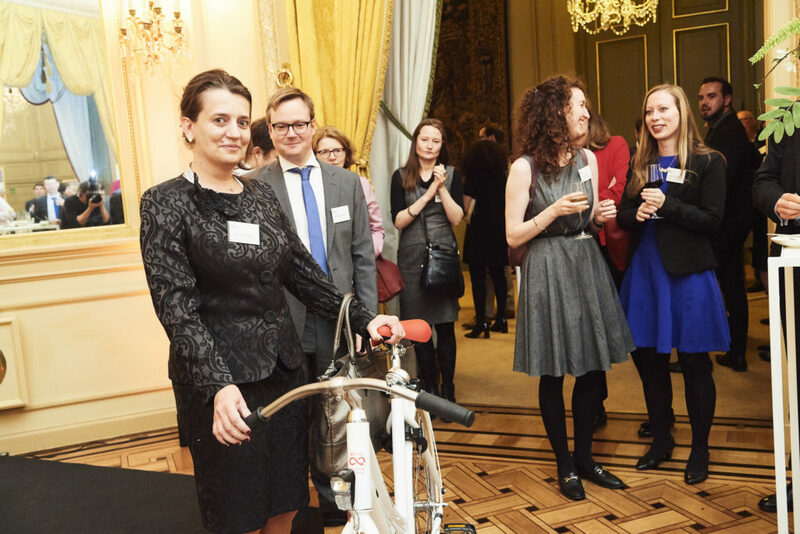 These bicycles were central to the “I recycle Metal” campaign, running in the Netherlands and Flemish-speaking Belgium earlier this year, and represented by the infinite recycling loop structure. 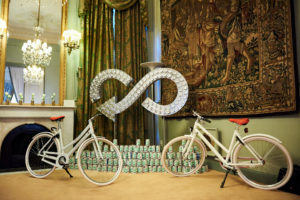 The campaign was designed to create awareness of the importance of recycling metal packaging – such as the steel food cans at the foot of the structure- as they can be recycled over and over again into other products such as trains, buildings or the bicycles on show! Indeed everyone was a winner on the night as the APEAL team encouraged all participants to take home one of delicious cans of VanBlik vegan ratatouille at the foot of the exhibition. 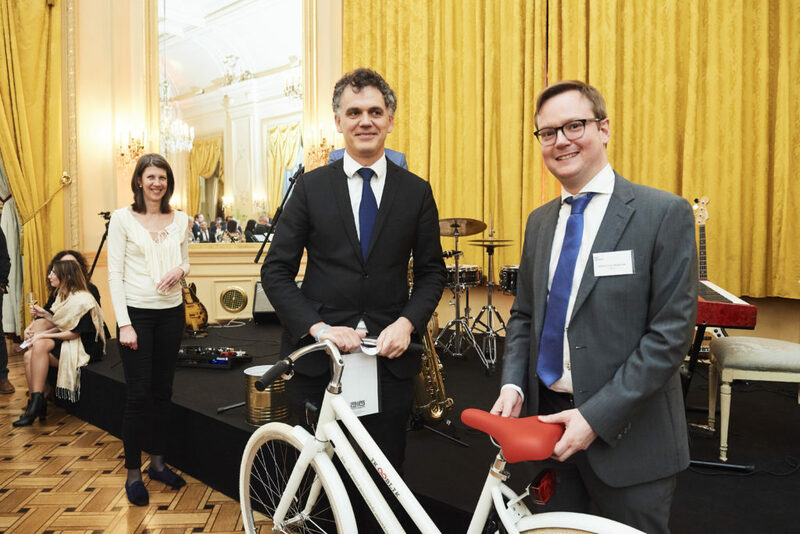 Under current recycling rates in Belgium, 95% of steel packaging is effectively recycled and made available for the manufacture of new steel products, bringing ever-greater savings in emissions, resource and energy use. 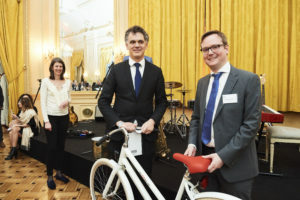 Our thanks to SKB for generously donating the bicycles.